Almost ipudunna generation andari dream enti antey, oka house, manchi salary and happiness. Ivanni unapudu apudapudu help chestu untaru, but ivanni vadilesi epudanna oka NGO start chesi complete service chestune undam ani epudanna anukunara? Chala mandi answer no, but Rs. 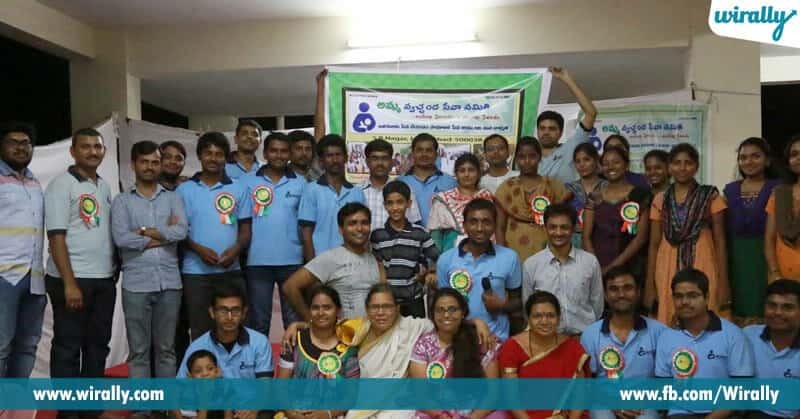 80,000 salary ni vadilesi e Sarvaraju Srinivas Prasad Amma Social Welfare Association (ASWA) ane NGO start chesi tana vantu help chestunadu society ki. Srinivas Prasad born and bought up in Perimidi, Balayipalli Mandal, Nellore district. Vella father oka postmaster and mother housewife. Velladi oka middle class family and Srinivas ki vala father chala inspiration. Tanu chese social service chustune perigadu and ade tanani social service meda interest vachela chesindi ani cheppevadu. 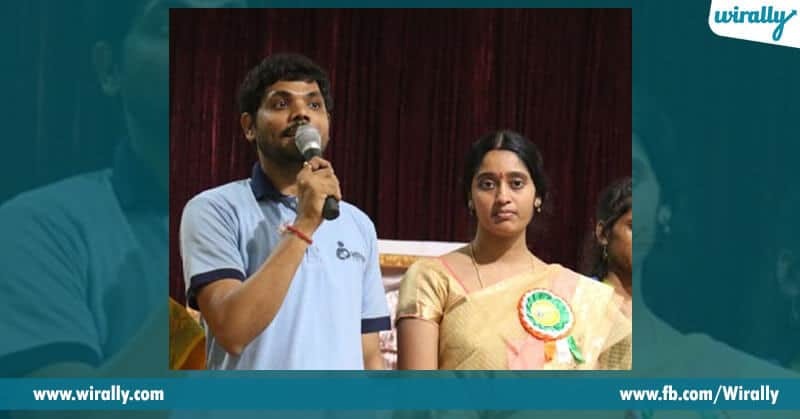 Suddenly, he lost his father and dantho with the help of his relatives, he had completed the degree and worked in a Chit fund company in Nellore. He has completed his MBA through distance education. During that time, he used to do service with half of his income. He came to Hyderabad and worked as a analyst in Capital IQ. 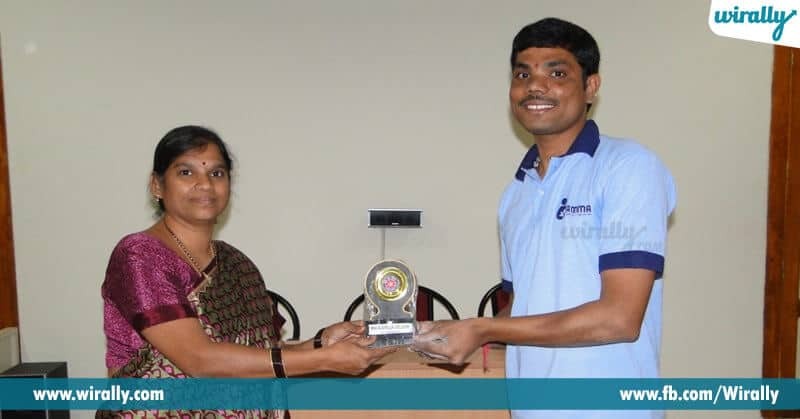 Srinivas used to contribute half of his salary for the needy ones and during that time, he fell in love with his colleague, who also much interested in doing social service. The duo got married and started ASWA in 2008. Kaani, atu job ki itu NGO ki complete time spend cheyaleka satisfaction leka, tanu and his wife job vadilesi full time social service cheyadaniki decide ayaru. AMMA started ayyi almost 10 years ayindi and dantlo more than 250 members unaru. Blood donation campaigns, food distribution and providing education to the poor children. Natural calamities valla suffer ayina valaki shelter kuda kalpistunaru. 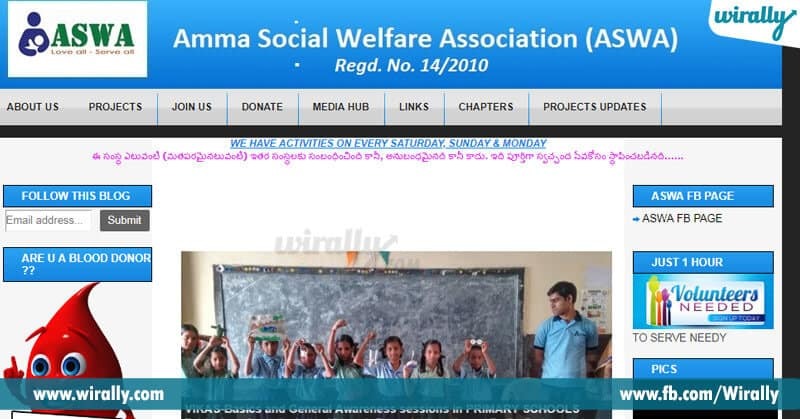 Srujana ane name tho, students ki personal development classes conduct chestunaru. Nellore lo matrame kakunda, Vijayawada, Hyderabad, Ananthapur lanti places lo helpline dwara entomandiki helo chestunaru. Vallaku unna 2 acres land lo Aswa School of Values and Skills ni establish cheyalanna aim tho chala kastapadutunaru. Ipudu unna education system lantidi kakunda, valaki batakadaniki kavalsina education ni provide cheyalanadi vala dream. We wish you all the best ASWA Team!